5 miles east of the Forth Bridges. The 13th century fortified residence of Aberdour has a delightful walled garden and terraces with beehive-shaped doocot. Historic Scotland. Admission charge. Near Cupar, this magnificent Royal Palace was the country residence of Stuart monarchs. Surrounded by fine gardens, it has the oldest Royal Tennis Court in Britain still in use. Plant sales & gift shop. National Trust for Scotland. Situated at Saline, Fife. A 2-acre garden, woodland walk through 20 acres of naturally regenerating Scottish Native Woodland, which has been designated a SINC (Site of Importance for Nature Conservation), and a small nursery - all plants are grown on site. Open April to September, every Friday, Saturday and Sunday from 2.30pm to 5.00pm. Internationally recognised Botanical Garden covering 7 hectares. An extensive range of rare and beautiful plants displayed under glass and outside. Open all year. Admission charge. 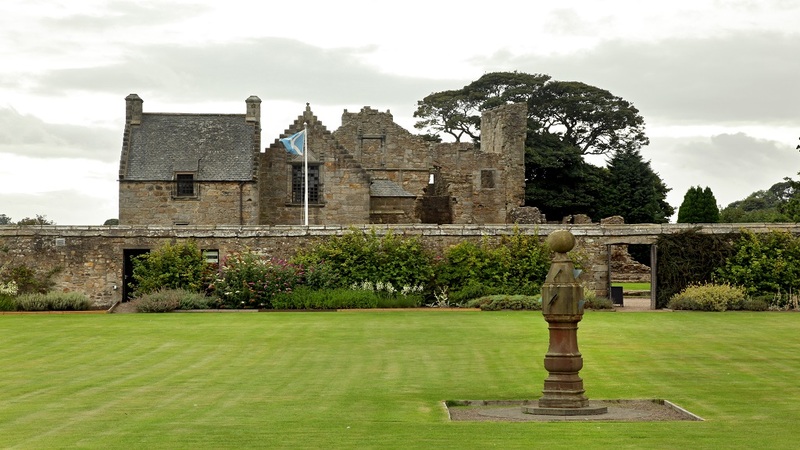 Situated at Kingsbarns, by St Andrews. Romantic 'Secret Garden' around Cambo burn. It holds the national collection of snowdrops which carpet the 70 acres of woodlands in February/March. All seasons plantsman's paradise. Woodland walks to the shore. Open all year 10am-5pm. Admission charge.